Using a stove top can lead to healthier cooking. Stove-top grills provide the opportunity for indoor grilling and healthier cooking. A stove-top grill is a round metal disk with several layers including vents. 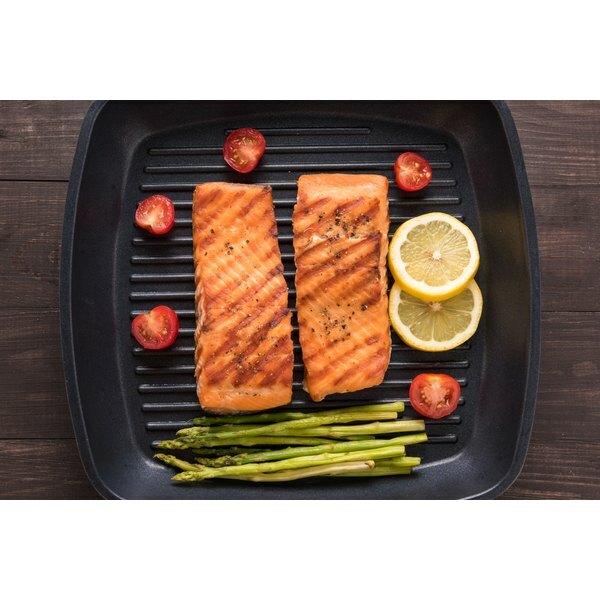 You can also buy a grilling pan, similar to a frying pan, with a grill mold raised up from the bottom of the pan. As food cooks, the fats drip down to the bottom of the pan between the grill-mold slats. A stove-top grill is most often used on glass-surface stoves, while a grilling pan is used on any stove-top surface. Heat the burners on the stove to the desired heat setting. A steak requires medium heat. Set the grill pan on the stove top. Position the stove-top grill near the middle of the smallest burner. Allow the stove-top grill to heat as you would for an outdoor grill -- approximately 10 minutes for medium heat. Sprinkle water on the surface; if it dances and bubbles, the stove-top grill is heated. A grill has a section at the bottom where you can place water or a marinade for infused cooking. A grill pan doesn't have this option. Wipe the grill mold with a paper towel moistened in olive oil. This prevents food from sticking to the grill surface and makes cleanup easier. Set the item to cook on the grill. Cook it for the required time. 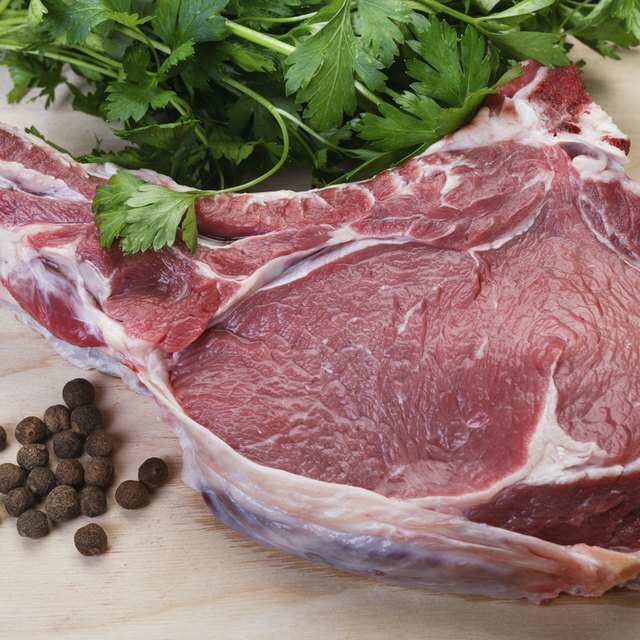 A steak might cook for five to six minutes on each side. Turn the food with tongs, using oven mitts or a kitchen towel to grab the grill pan handle if necessary. When cooking more than one piece of food, allow 1/2 inch of space between items. Remove the food and turn the heat off. Allow the pan to cool on the stove top before cleaning it. Grill pans are made from a variety of materials. Check manufacturer's labels for cleaning and care instructions. Open a window or use an stove fan to air the room if the dish begins to smoke on the grill. Why Does Food Cook Faster in a Pressure Cooker Than in Boiling Water?